Limpets are - pound for pound - the mightiest of all the mollusks. 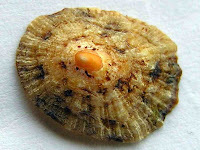 If you are ever in a bar-room brawl, you'll be glad to have a limpet at your side. Conversely, limpets are great lovers of poetry and the arts.